The UMCC currently has seven playing teams. 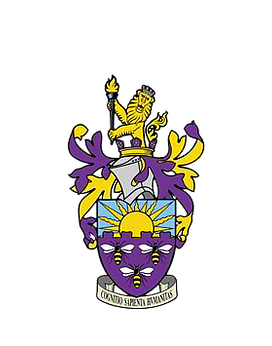 Four of our teams play in the BUCS (British University & Colleges Sports) Leagues, and two play friendly matches against local teams and other university clubs. We also have a summer XI, a side playing friendlies once the academic year is completed. The 1 st XI this year had a mixed season. It was always going to be difficult to follow up on the successes of the previous title-winning season, especially having lost a number of players from that season. However, the boys played superbly at times and remaining in the league should be viewed as a great achievement. Great wins against Leeds and Liverpool were unfortunately followed up with the abandonment of a very winnable game against Loughborough and a loss to Leeds Beckett. This final two games, away in Scotland against St Andrews and Edinburgh were also unfortunate close losses despite taking a very weakened side up during the last week of exams and playing almost full strength sides. Notable performances this year have been Mars Mohammad’s 81 Against Leeds and 91 against Leeds Beckett and Nicky Kirkwood’s 6-fer against Leeds and 82 against Liverpool. There are no news/blog posts to show. The 2nd team’s season was very much short and sweet, with in the end only two games going ahead. The poor weather along with organisational nightmares from opposition teams resulted in three of our five games cancelled without a ball being bowled. In the two games that did go ahead there was very much a mixed bag of performances on show. After a solid opening stand from Leather and Hatch in the first match vs Man Met, a textbook UMCC top order collapse followed and resulted in us never having enough runs on the board to defend, with Man Met chasing down the total fairly easily. Our second game of the season vs Liverpool John Moores ended with much happier scenes and a comprehensive 93 run victory. After being put in to bat on a questionable wicket, a spectacular century from Reuben Arnold put us in the driving seat going in to the second innings. With 218 to defend, our bowling attack, especially third teamer Tom Crump, proved to be simply too good for the LJMU batsman, bowling them out for 124 in no time. All in all, a positive season for the 2nd team, hopefully next season the Northern weather will allow for more wins and a good chance of some silverware. The 3XI played their games in the Northern 3A division against mainly other 1XI teams which presented the challenge of potentially facing players better than the standard requried. In spite of this, the 3XI got off to a great start with a comfortable 33 run win against Lancaster 2XI due to a stand out performance from debutant Fin Pearce who took a 5 wicket haul . A disappointing 13 run defeat to Keele 1XI followed. The 3s should be annoyed that the win, probably due to a loss in concentration in the field towards the Keele innings. Captain Henry Tasker’s 57 with the bat was in vain as was very good bowling from Tim Benson and Ocean Jones O’Malley taking 5 wickets between them. 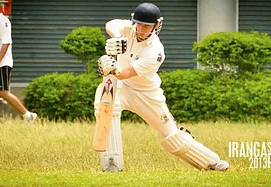 Unfortunately, as the University cricket season coincides with exams, player availability quickly reduced and therefore correlated with two frustrating defeats to Bangor 1XI and eventual league winners UCLAN 1XI. The final game of the season saw the 3XI lose to Salford 1XI by another close margin of 12 runs. Fortunately, the 3XI survived relegation due to a superior run rate. The 3XI can also take heart from the fact that their team consisted of mainly freshers who can take their experience of their first year of BUCS cricket into next season. 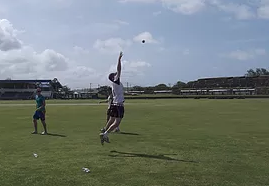 Better application when batting and full concentration when fielding for 50 overs, could see the 3XI seriously improve on their results next year. Mixed bag for the 4XI in 2018. Our first three games rearranged for bad weather, followed by a walkover and a conceded match meant out first game was a reduced over T25, losing by 2 runs chasing 176 to Bolton University. DK final scoring some runs for the UMCC with 44. Lelean 3-16, Gentry 3-22. 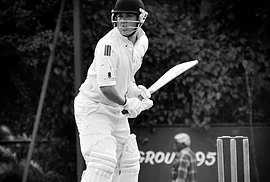 This was followed by a loss to a Liverpool side by 9 wickets, and which we could only field 9 men for. Things took an up turn when we fielded a strong side against league winners Liverpool Hope. Chasing down 228 for our first win of the year. Ramlaul 86. Edwards 3-26, Gentry 3-37. The season ended with a net run rate win against the University of Chester. The less said about this, the better. Overall a topsy turvy, but enjoyable year with numerous new faces playing for the team. Thanks to everyone who played a part for the 4XI in 2018. The 5 th XI had a difficult season in a strong league but kept optimistic throughout, putting in some very good bowling and fielding performances. The quality shown by the likes of Mohib Ahmed and Jamie Cox opening with the ball and bowling at the death was very impressive. Bilal Ahmed’s 6-fer in his debut was also a highlight of the season with our overall bowling performances showing much to be optimistic about. However, the batting let us down with the difference in quality of the opposition. Overall, it was an encouraging season with much to look forward to next year. The 6XI is the second of our two friendly teams and plays against local teams. The Summer XI was created in 2015, and continues to play following the culmination of the BUCS season.